No Man’s Sky Path Finder Update launched today. 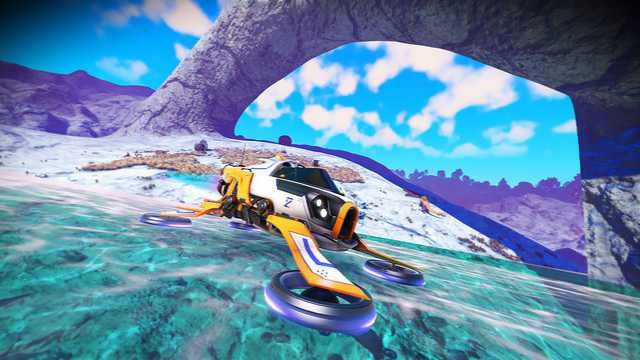 The latest update brings planetary vehicles, PS4 Pro support, Permadeath Mode and lots more. The now includes a brutally difficult new game mode called Permadeath. Not only does this mode mirror the high difficulty level of Survival mode, but dying will also wipe your saves and start you from the beginning. No Man’s Sky Path Finder Update also brings a host of visual improvements including new high-resolution textures, improved lighting, ambient occlusion and more.